While the end of summer doesn't technically come until the calendar hits September 22, the Labour Day long weekend is always a good excuse to celebrate the changing of the seasons. Here in Toronto, Labour Day weekend also means the last days of the Canadian National Exhibition (also known as the CNE or The Ex), which, for most Torontonians, is an end of summer family tradition. After this weekend, we can officially say it is for our family too. 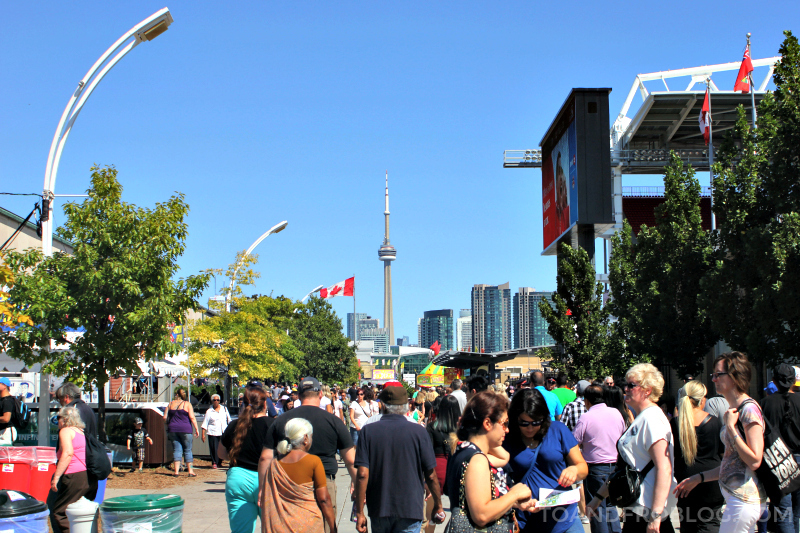 The CNE was founded in 1879 as the Toronto Industrial Exhibition for the purpose of "fostering the development of agriculture, industry and the arts". By 1912, the name was officially changed to the Canadian National Exhibition. 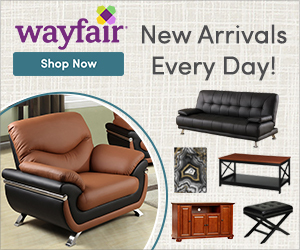 At that time, the fairgrounds covered close to 350 acres and included one of the finest amusement parks and permanent exhibition facilities in the world. Today, the fair continues to be Canada's largest community event and one of Ontario’s great annual traditions, welcoming more than 1.6 million visitors over the 18 day span leading up to Labour Day. Having grown up a few hours from Toronto, the CNE was never one of my end of summer family traditions. However, the exact opposite is true for my Toronto born husband. It wouldn't be a summer for him without a trip to the CNE. 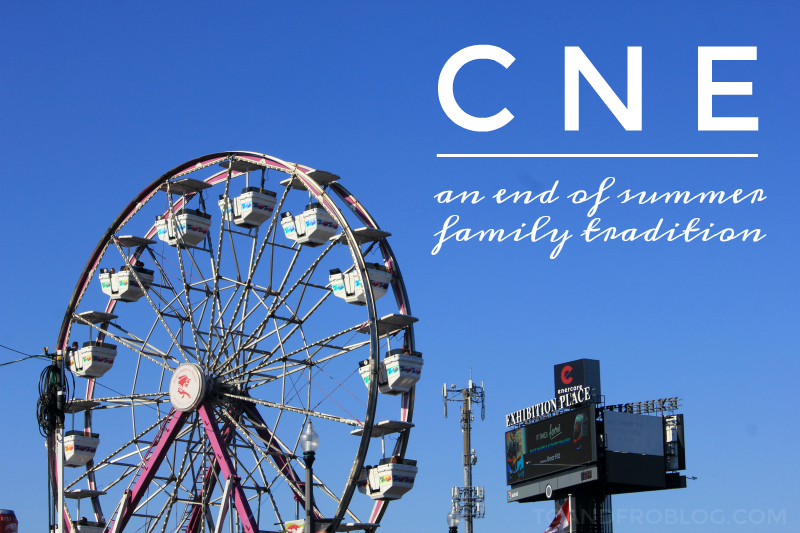 Now, it won't be a summer for our family without a trip to the CNE. While our first visit with Morley was shorter than normal because it was so hot and so busy, we made sure to hit up the important parts, our two favourite buildings - the food and the farm. The CNE is known for its fun and wacky food, and each year the food booths create new menu items more outrageous than the last. 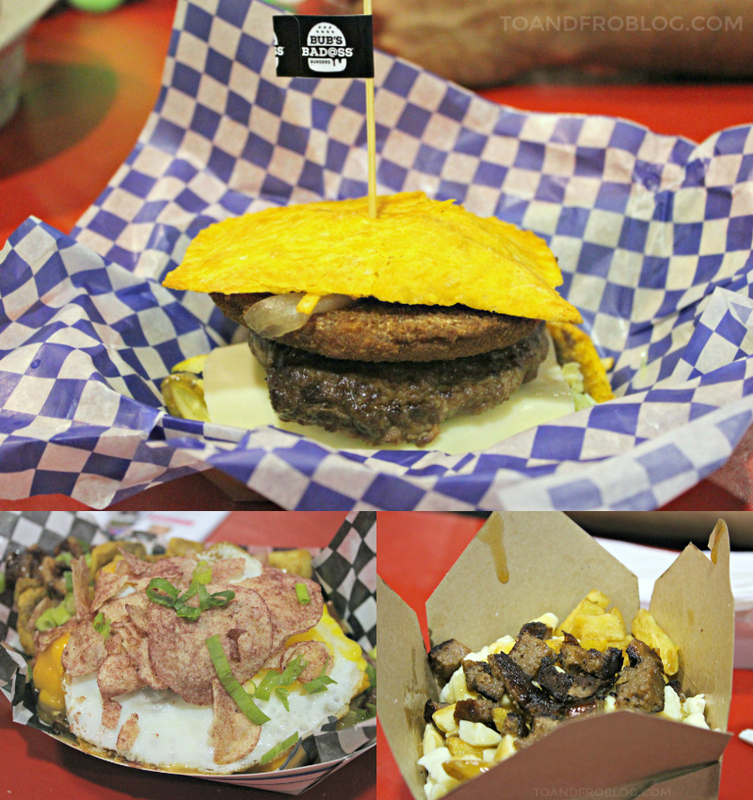 This year there was the Canadian Bacon Taco (a taco wrapped in peameal bacon), the Bug Dog (a hotdog sprinkled with "the protein of the future" - dried crickets), the Churro Burger (an all beef patty sandwiched between two churros), the Pulled Pork Cinnamon Roll (your favourite breakfast treat piled high with BBQed meat) and more! While we didn't go completely outrageous with our food choices, we also didn't stick to your normal fair food of turkey legs and corn dogs. Steve was sold at the words 'Jamaican' and 'patty' and went with a Jamaican Patty Burger, which sandwiched a traditional hamburger patty, a breaded chicken patty and all the fixings between a beef Jamaican patty. My parents opted for a Philly Cheesesteak sandwich and the bison poutine which included everyone's favourite traditional poutine loaded with bison meat. My stomach had eyes for the Hangry Hashbrowns, the perfect description for how I was feeling while trying to decide amongst the 100+ booths in the food building. The traditional breakfast hashbrowns were loaded with gravy, cheese sauce, ham, green onions, a fried egg and ketchup chips. For dessert, it was a Caramel Chimney Stax. After filling our bellies, we took a trip to the farm. 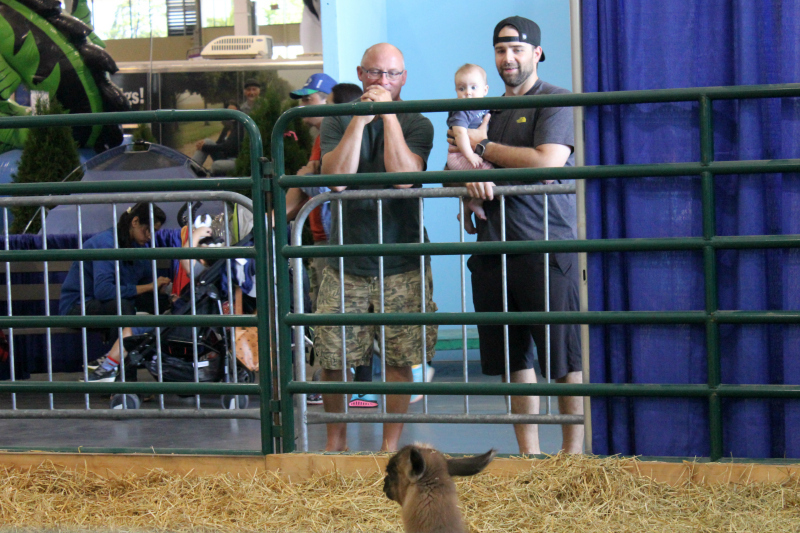 The Farm building showcases trends in urban agriculture, such as balcony gardens and backyard beekeeping, while providing an opportunity to see approximately 140 farm animals up close. 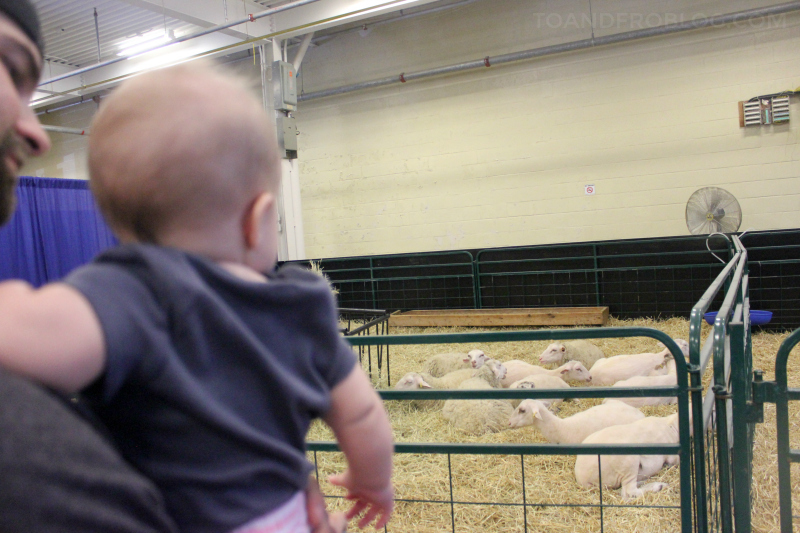 Morley has recently taken a liking to animals, so it was fun to see her reaction to the llamas, sheep, cows, pigs and more. Our visit to the CNE was a successful one, and baby girl was out even before we left the fair grounds. I can't wait to continue this end of summer family tradition and see the fair through Morley's eyes as she grows. 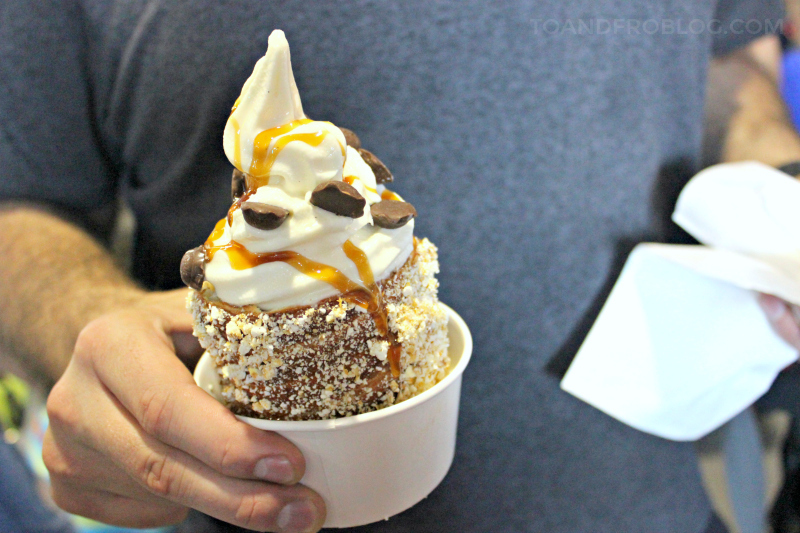 Did you miss out on the CNE this year? Make sure to mark your calendar for summer 2017 (August 18 - September 4, TBC)! And for more information on the fair's location, history, what to expect, etc., check this out. 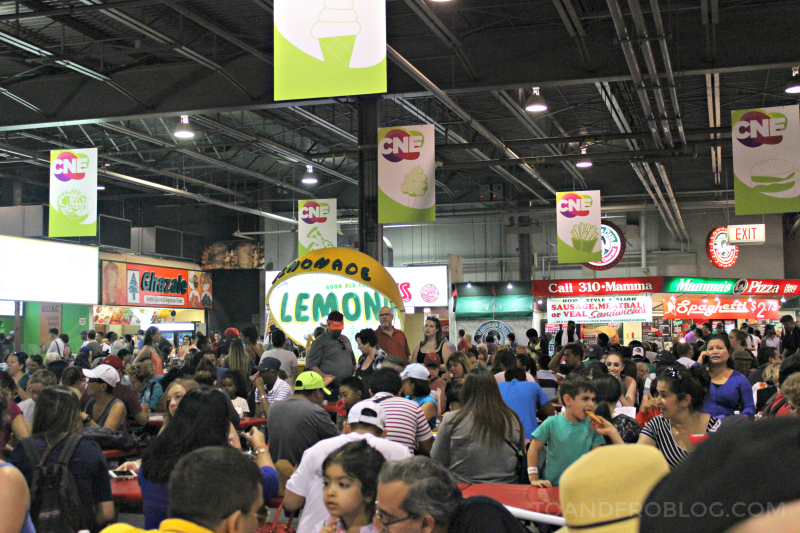 Have you been to the CNE? 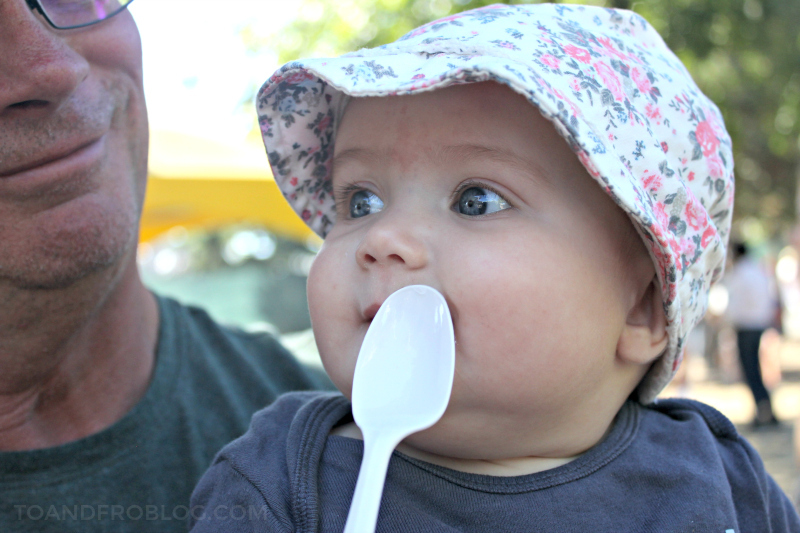 Do you have any end of summer family traditions?